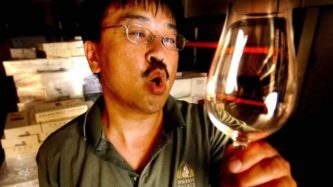 Raymond Chan won a strong fan base of winemakers and marketers alike. 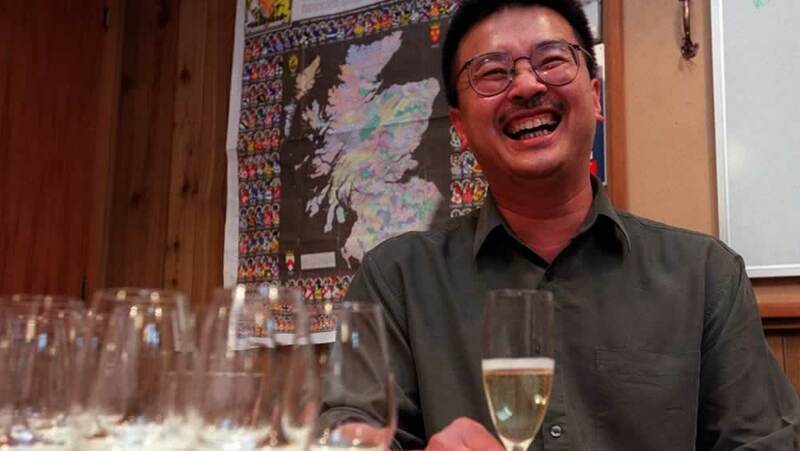 Raymond Chan, who has died aged 62, was a great wine communicator and for spearheading dynamic tastings in Wellington in the early days of the modern New Zealand wine industry. He will also be remembered by family and friends (of whom more than 300 turned up to celebrate his life at a wake in Martinborough) as a man of incredible courage and determination. Chan died at home in Wellington last month with his partner, Sue Davies, by his side. It had been a long journey with cancer, and he was constantly praising Davies for the incredible support she provided during that time. He lived with cancer for 10 years. During this time, he led a new style of wine communication – paid wine reviews online. He swiftly won a strong fan base of winemakers and marketers alike who wanted and needed written independent wine reviews. He wasn’t without his detractors, but this did not deter Chan from his meticulous detailing of viticulture and winemaking information on his website, which was an invaluable resource tool for the New Zealand wine industry. He and his work will be sorely missed because of his great ability to communicate about wine to both newcomers and experts alike. Despite his battle with debilitating cancer, he ploughed on with daily life, cycling down the hill from his home in Hataitai to Newtown each morning, working on his website each afternoon. 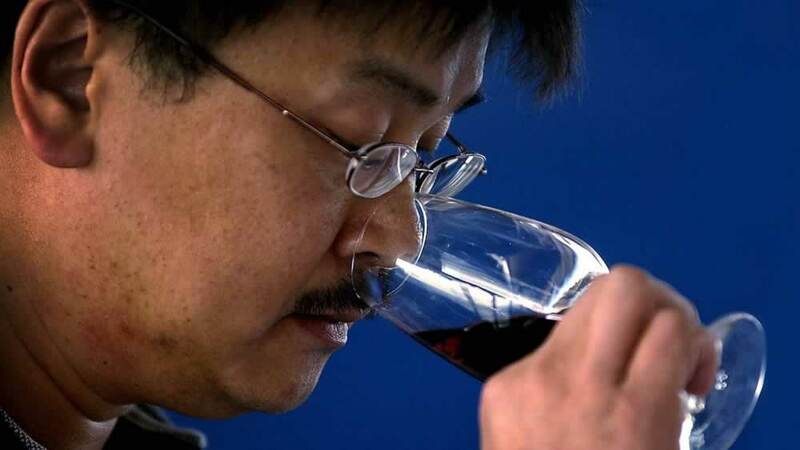 Chan wasn’t without his detractors but this did not deter him from his meticulous detailing of viticulture and winemaking information on his website. His sunny disposition and love of wine came through in both the tastings programme he spearheaded in Wellington in the 1980s and 1990s, and on his website. His desire was to democratise wine for all. He succeeded. Wine never appeared on the family dining table when he was growing up. It became important to him when he graduated from the University of Otago in 1978 and worked at Chan’s Garden Restaurant, owned by his family in Dunedin. Raymond was one of five children. He was the eldest of the four born in New Zealand to immigrant Chinese parents who were separated for seven years between his father’s arrival in New Zealand and the emigration of his wife and eldest daughter. The family owned a fruit shop and later a fish and chip shop and, eventually, Chan’s Garden Restaurant in South Dunedin. When the family opened the restaurant, they all became interested in wine. “I was amazed by the early New Zealand wines of the day, and our whole family got keen on wine through the restaurant,” he said. Chan’s sunny disposition and love of wine came through in both the tastings programme that he spearheaded in Wellington in the 1980s and 1990s and on his website. He became friends with wine reps from different companies and developed close relationships with wine industry people, such as Malcolm McIntyre and Chris Staynes, with whom he formed the Wine Federation of Otago and entered wine options, a guessing game in the wine industry. The 1980s were pivotal years in Chan’s early career. He became a judge at the Royal Easter Wine Show in 1988 when Master of Wine Bob Campbell was expanding the judging system. Then he moved to Wellington in 1989 to work at Wilson Neill as a wine adviser for the late Jose Hernandez and, later, when Wilson Neill was taken over by Dominion Breweries (DB), he went to O’Reilly’s on Thorndon Quay, where he worked for Zuke Marinkovich from 1991 to 1994. 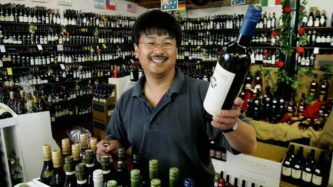 This role saw him establish Wellington wine tasting programmes, most influentially at Regional Wines & Spirits, working for the store’s late founder, Grant Jones, whom Chan described as a visionary. Chan’s desire was to democratise wine for all. He succeeded. I can echo those comments. The first time I met him was at an upstairs tasting at Regional Wines & Spirits in 1995. I was a young wine writer with very little knowledge at the time and, realising I needed to learn, the tastings beckoned. Chan’s passion for wine was infectious. He was warm and welcoming. He lacked pretension and exuded an openness to teach, which is sorely needed in wine circles today. I owe him a lot. Like many Wellingtonians in the 1990s, I learnt more about wine from Chan than from anyone else in wine circles. He encouraged me as a young writer, happy to see a newcomer and help them on their path. Chan will be highly revered for the role he played in championing wine and its producers at a formative time in the modern history of New Zealand wine, says Joelle Thomson. He was a breath of fresh air. His support for my writing career will always give him a special place in my heart. His encouragement and support for many others in the New Zealand industry means that they, too, can echo this thought. His funeral was a small family affair in Wellington, followed by food at his favourite yum cha restaurant. The wake to celebrate his life was another matter. 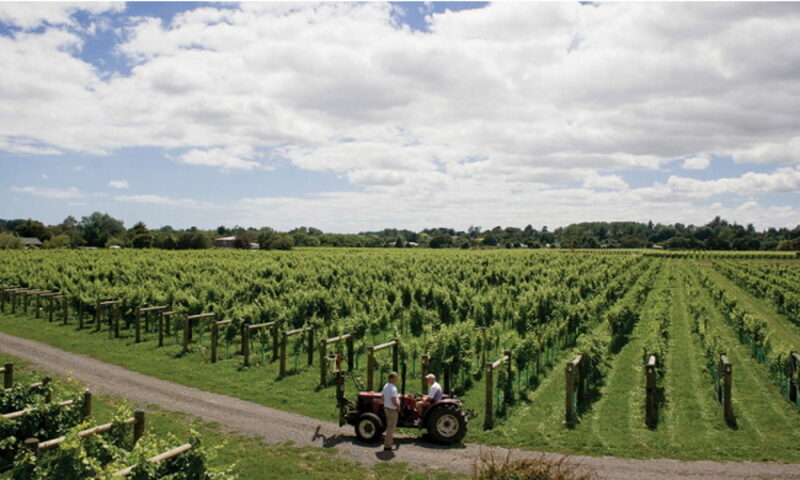 It was held at Ata Rangi, one of the first four wineries to establish itself in Martinborough. The catering was by Ruth Pretty and more than 300 people turned up to pay their tributes to the man who most described as having a ground-breaking influence on their journey into winemaking, viticulture, marketing, sales and writing. It has been my great privilege to know, admire and learn from the man who inspired one of my personal greatest wine passions – German riesling. It was a passion that he and Davies also shared. He will be very deeply missed and very highly revered, as he deserved to be, for the role he played in championing wine and its producers at a formative time in the modern history of New Zealand wine. Joelle Thomson is a writer and published author of 15 books about wine.